Granted I am not one for short stories and the historian in me like reading things in chronological order so this series of stories really messed me up because my quirky ordered brain just didn't like dipping in and out. Don't get me wrong had I just read all of the series and then this it might have been better but since there has been a 200+ book gap I couldn't remember who all the people were so I am sure I missed things. 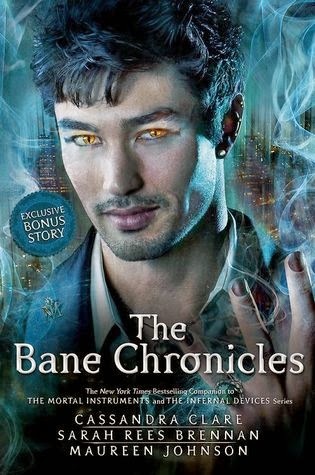 Don't get me wrong I did like the snippets it gave about Mangus Bane because I love him as a character and I liked getting that extra information about his life and the person he is but I really felt like this was unnecessary as a book and just a case of the author trying to milk a bit more money out of the series especially when you consider how it was published (ebook serial over several months then print copy) and get more exposure for her friends who haven't been as successful as Clare with their own publishing deals. So my advice for what it is worth is to read it sooner after finishing the series and get it from the library rather than buying it unless you are a superfan collector who needs it for your collection.